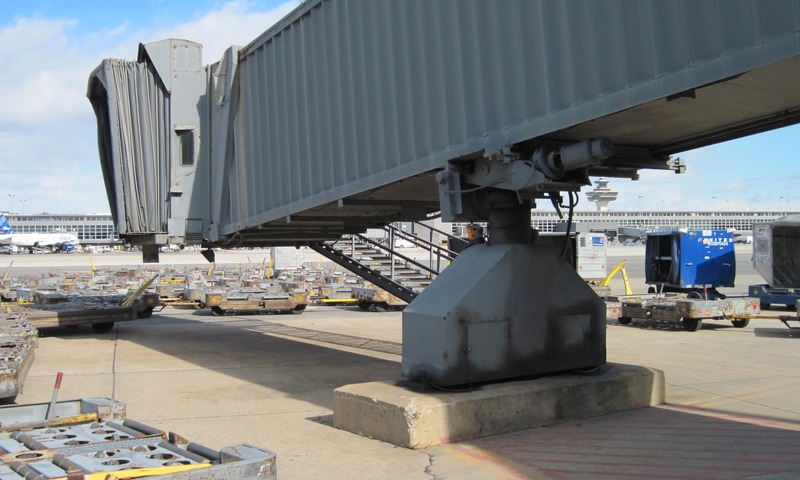 Upgrades to the C/D Concourse were part of an IDIQ task for the Metropolitan Washington Airports Authority (MWAA) in order to extend the useful life of the midfield concourse. The scope included implementation of an existing conditions survey report of MWAA-owned passenger boarding bridges (PBB’s). The two boarding bridges slated for replacement had been deemed unacceptable by MWAA to serve a mixed fleet of aircraft due to their fixed supports. The bridges were demolished and replaced by refurbished bridges with rotating rotundas atop stationary steel pedestals. Coordination efforts between the design team and the manufacturer conducting the rehabilitation included plan locations, bridge elevations, pedestals heights, existing underground utilities, and bridge loads for the foundation design. 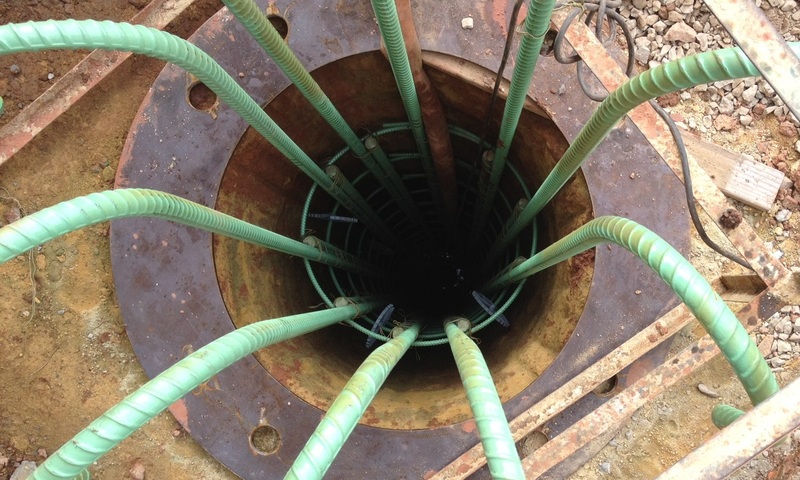 The foundations for the bridge pedestals were reinforced concrete 30” diameter drilled piers pocketed into the bedrock below. The drilled piers were capped with reinforced concrete columns to which the passenger boarding bridge pedestals were anchored.